When Emelia was asked to run the Venice Marathon and I volunteered to go carry her shoes, it wasn’t until we were boarding our flight that it finally hit me that we were actually going to Italy. 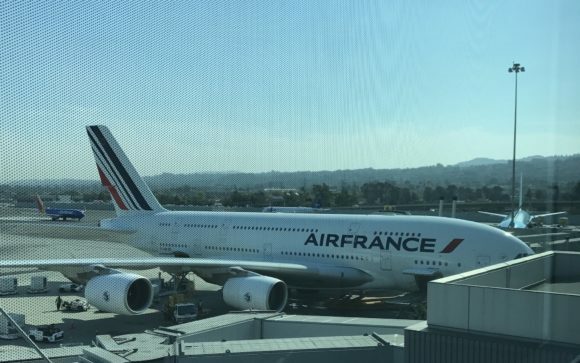 We walked through SFO and both of us stopped in our tracks when we saw the ginormous Airbus A380. As a former flight attendant, these things don’t normally phase me, but this plane is big. We immediately wondered what the in-flight service was going to be like since there were so many passengers onboard. 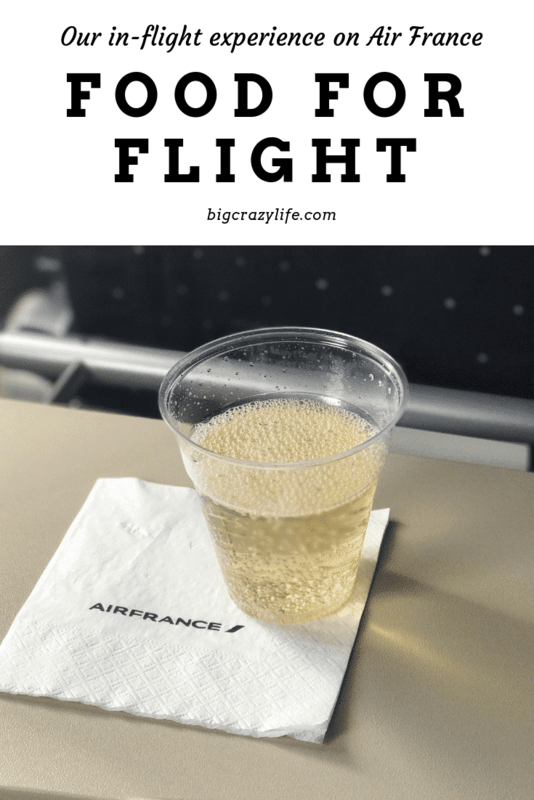 So here’s a little food for flight though about our in-flight experience on Air France. 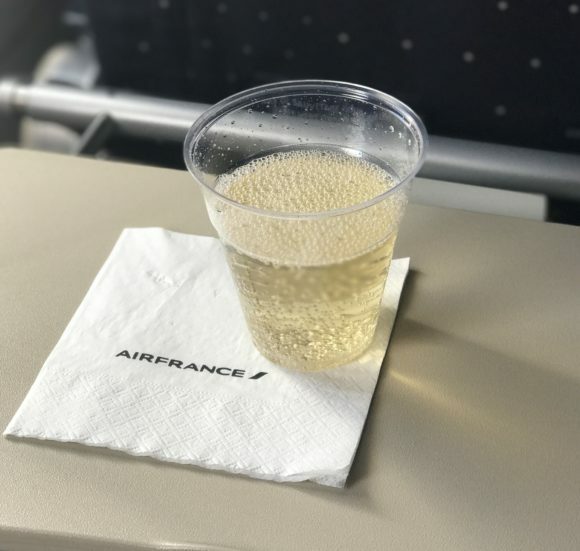 I think the funniest part of our fight was we were seated in the very last row in the last two seats on the upper deck both on our flight to Paris and returning home. So right away we thought we were in for a very long sad haul. However, our experience was quite the opposite. For our economy seats, we actually had a lot of space, the in-flight team was terrific, and the food was surprisingly well… good. Anytime you are traveling, I think there needs to be an understanding that the airplane is there to get you from point A to point B safely. Not much more. 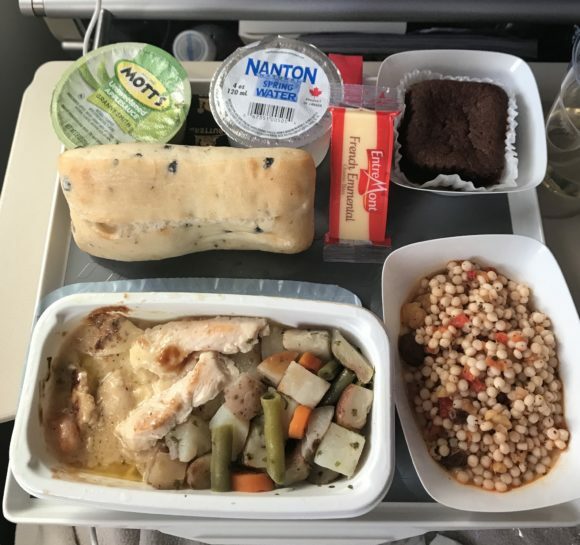 So if you would like a fine dining experience, you need to book a First Class ticket. Like everything in life, you get what you pay for. 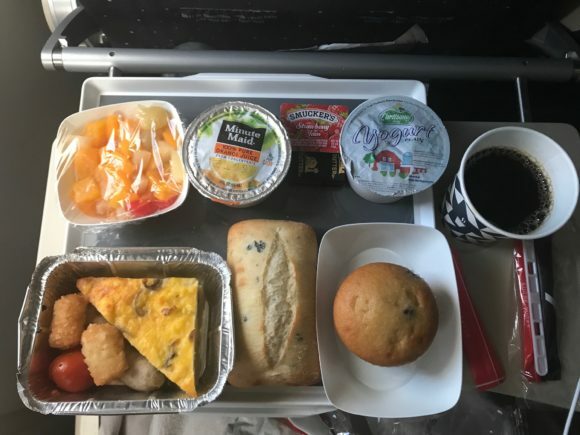 That being said, we really did enjoy our in-flight meals. I will be forever grateful for Emelia’s ability to translate for me. She described our cold bean salad spot on. This was by far my least favorite part of our flight. 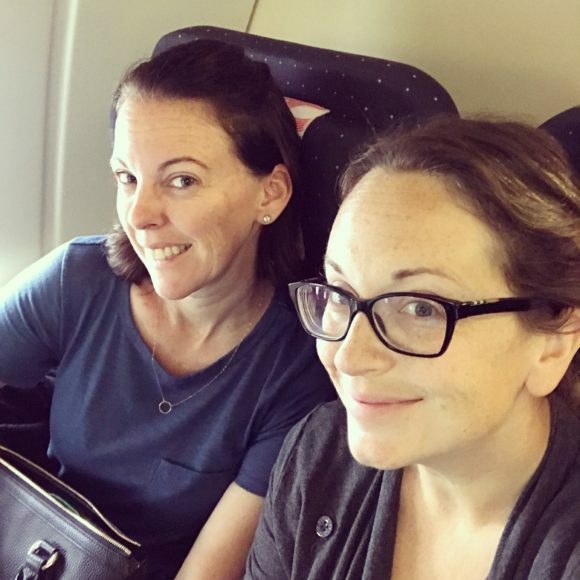 After a long night of no sleep… because a mom rarely gets a chance to watch eleven hours straight of uninterrupted movies… I think by the time breakfast came around we were so excited because we knew that we’d be landing in Paris soon. We didn’t even care we were served the same bread from the night before. The only way our flight could have been better is if we were sitting in First Class. But, our Economy Class experience wasn’t bad at all. In fact, we’re thinking about another trip to Europe soon and will definitely consider Air France again when booking. Do you have a favorite airline that you like to travel? I know we did. But after taking this flight, I might just be open to traveling different air carriers.